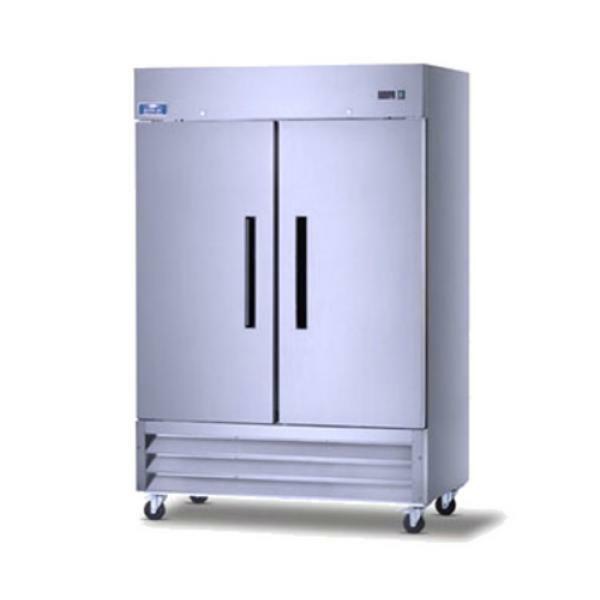 The Arctic Air AR49 is our best selling two door reach in commercial refrigerator. This 49 cubic foot unit features stainless steel exterior with bright white aluminum interior walls and stainless steel floor. The self contained bottom mounted condensing unit slides out for easy access. The stainless steel lockable swinging doors are self closing and include heating elements to prevent condensation. Capacity - 38 - 53 Cu. Ft.